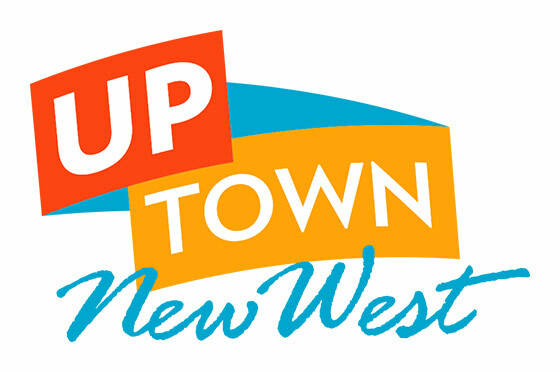 Exhibition Dates: July 1 – 29, 2018. Art, in its many forms, challenges us to think about our world in new ways, sometimes engaging, sometimes enraging. These days it feels as if making art is survival, poring over slabs of wood while listening to what is and what should never be on the TV and radio. It worries but inspires, so it is all a double edged sword. As much positive energy that can be mustered is put into each piece, regardless of subject matter. 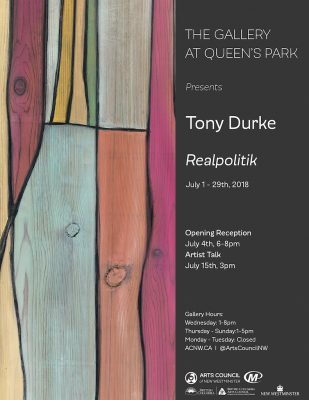 Tony Durke’s goal is to spread some beauty around the world and at the same time be provocative, using only shapes, colour, and texture to describe a certain feeling or event. The wood used in Tony Durke’s art is mostly recycled or up-cycled, sourced from telephone poles, scraps from cut blocks, discarded sets from the film industry, and the lumber yard. His preference is to repurpose wood and paint that has already completed a phase of its life. Durke assembles his compositions using an Olfa blade and sandpaper, and applies pastels, spray paint, pens, oil, and acrylics. Durke works to maintain the integrity of the raw wood, celebrating its past and present forms.